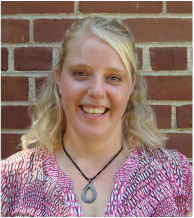 ​​Preschool/PreK ~ We would like to welcome Mrs. Anna Nelson to our teaching staff this year. She lives in the Maiden Rock area with her husband, Tony, and three children, Alexis, Mikayla, and Wyatt. Her experience in a preschool setting for over 12 years makes her a perfect fit for our Little Lambs. Mrs. Nelson and Mrs. Ormson will team teach our kindergarten this year. Mrs. Ormson has been our constant since the Academy was founded. She holds a BS in Elementary Education grades K- 8 from Mount Senario College in Ladysmith, WI. She remembers that she had always wanted to be a teacher ever since the second grade. When asked what she likes best about AMA she replied, “Because we are a small school we really get to see and witness the growth and education of each and every student even though they may not be in our classroom.” Mrs. Ormson lives in Glenwood City with her husband, Brian and son, Joel. Mrs. Peggy Knegendorf has a B.S. in Agriculture Education, a B.S. in Elementary Education, and a 316 Reading certificate. She began teaching Agriculture at Gilmanton High School, but felt her calling was more towards the younger students. She also enjoys the variety of subjects that comes with the elementary level. 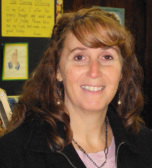 She has taught in the Arcadia Public Schools, as well as Mondovi Catholic School but has been with Ave for 7 years. She is married to Albert Knegendorf and together, they have five children. Mrs. Steele brings with her a B.S. in Secondary Education with the emphasis on Broad Area English. She says there are many reasons why she became an educator, “First, I love learning. As a teacher, I continue learning to stay current with new concepts and ideas. Secondly, I love the sight of students grasping a new concept, and growing to master that concept. Knowing I play a part in that growth is phenomenal. Finally, teaching forever invites me to stay young at heart.” In her eighth year with us, she shares what she has witnessed coming to the Academy, “The environment is so welcoming, inviting, and I absolutely love the parent involvement. The educational success of students increases ten-fold with parent involvement.” She loves spending time with her husband, Chad; daughters, Brittany and Catherine; and grandsons Brenden and Edwin.